In 2003, the Human Genome Project was completed with 99% of the human genome sequenced. The Galileo space probe made a final dive into Jupiter’s atmosphere and Concorde made its last commercial flight. Apple launched iTunes which rapidly became a major success, and tens of thousands of Harley owners gathered in Milwaukee to celebrate 100 years of Harley-Davidson Motor Cycles. 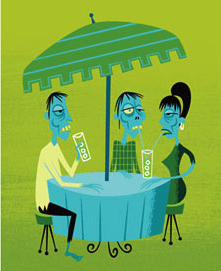 And Josh Agle represented the contemporary art world by contributing to an uncharacteristically low six group art shows including the Palm Springs Weekend at M Modern Gallery which is covered by another post. 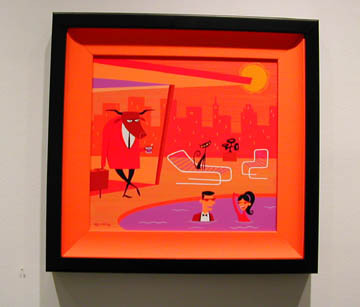 Josh Agle’s remaining five group art shows for 2003 are listed below. The second annual Hukilau was held at the Mai-Kai restaurant in Fort Lauderdale, Florida on Friday 27th June and Saturday 28th June 2003. 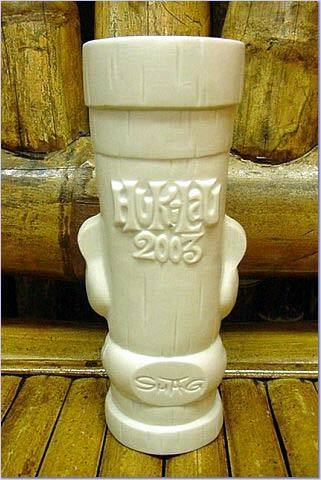 Shag designed the brown Huki Huki Tiki Mug for the event which was sculpted by Squid and manufactured by Tiki Farm in a limited edition of 300. The mug retailed for US$30 and comes with a signed and numbered hang tag. The Key Club on Sunset Boulevard in West Hollywood, California held the Night of the Tiki on Saturday, August 9th 2013. The party was organized to celebrate Barracuda magazine’s 5th anniversary and featured Tiki Goddess Burlesque Exotica, the Dynotones, DJ Otto of Tiki News, Miss Midori’s fan dance, and a print show by Shag. 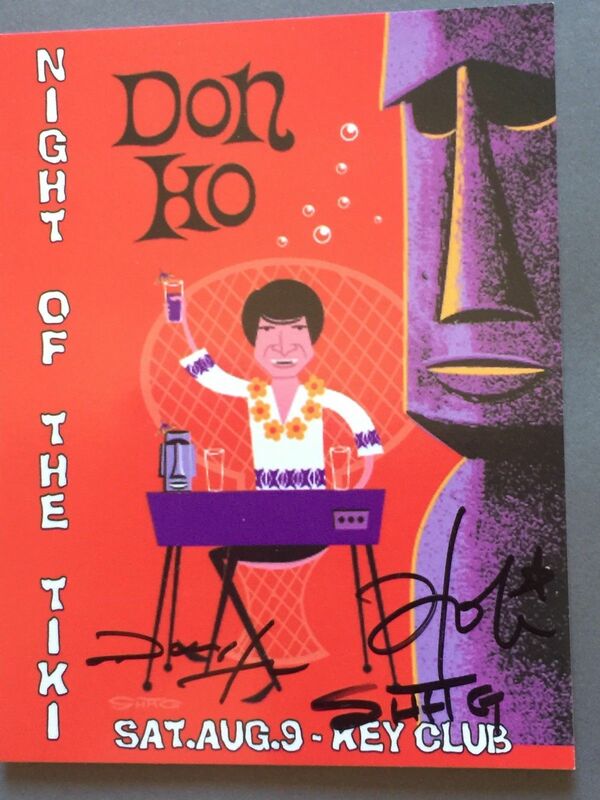 Legendary Hawaiian entertainer Don Ho and Shag attended the show from 8pm to meet and greet guests. The luau style gathering began at 18:30 and cost $29.50 USD (or $18 USD for the dance party only). Josh Agle released the five-color serigraph Don Ho print at the show which measured 20” by 28”, was hand signed and numbered in a limited edition of 149 (plus 30 artist proofs and 3 printer proofs) and retailed for $500 USD. 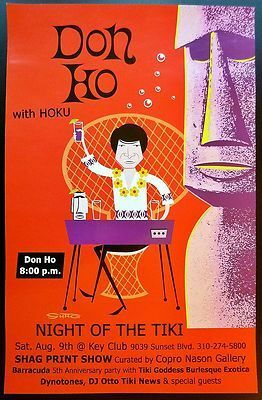 The Don Ho poster was given free to guests. 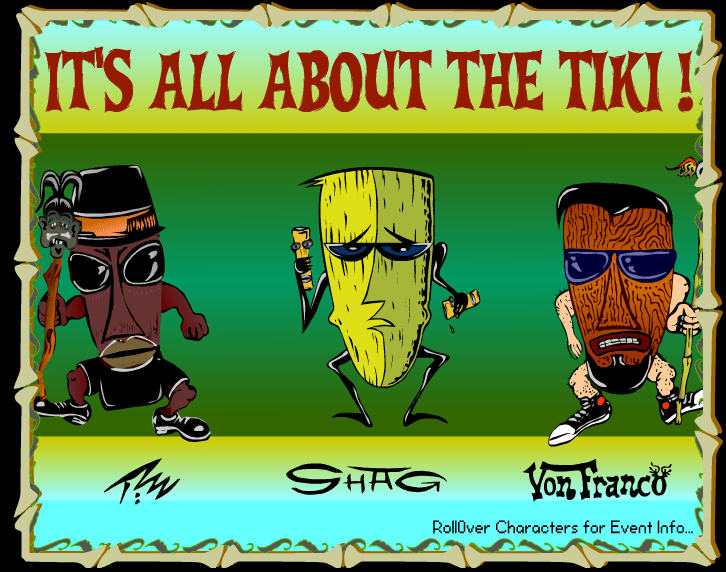 The It’s All About The Tiki exhibition at the La Luz de Jesus Gallery in Los Angeles, California ran from the 22nd to the 28th November 2003. The exhibition then moved to the M Modern Gallery in Palm Springs, California from November 29th to December 5th. 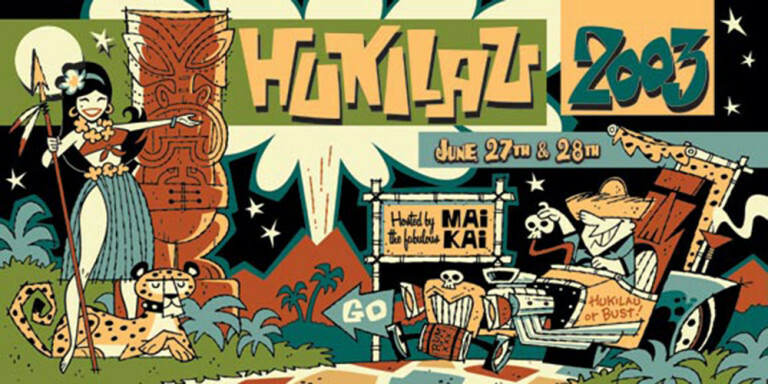 The world premiere of tiki merchandise featured work from Shag, The Pizz, and Von Franco. 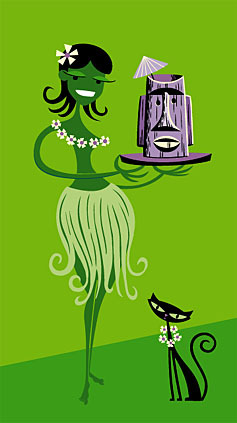 Shag provided an exclusive show print called Green Wahine, a nine-color serigraph measuring 9″ by 15″ which retailed for $125 USD. 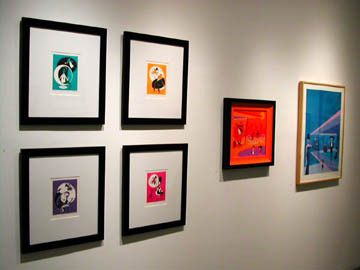 The serigraph print was produced in a limited-edition of 300 with 30 artist proofs and 5 printer proofs. 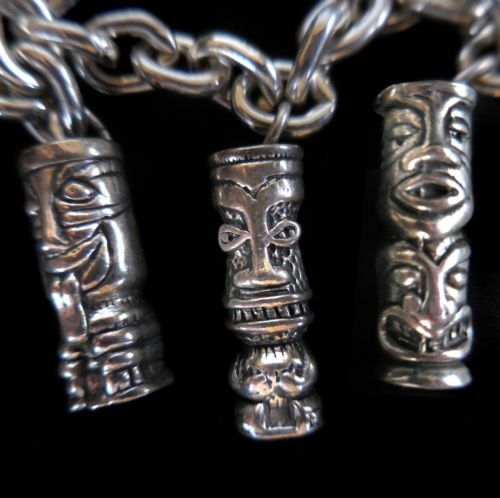 The silver Tiki Charm Bracelet was manufactured by the Tiki Farm based on the first and second edition Tiki mug series. 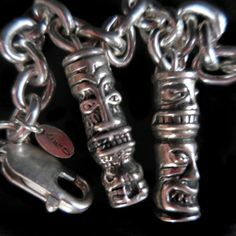 Each charm measures around an inch. This limited-edition of just 100 copies was packaged in a black padded box labeled with SHAG in gloss silver and supplied with a signed and numbered print/certificate. 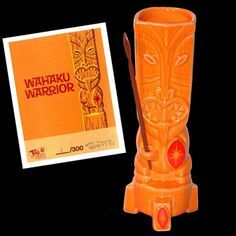 The Wahaku Warrior Mug measures 9.5″ tall and 3.5″ in diameter and has a capacity of approximately 17oz. 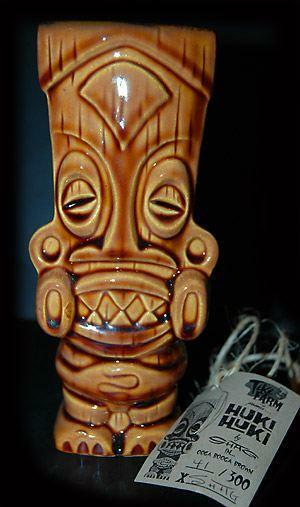 The mug was manufactured by Tiki Farm for the It’s All About The Tiki exhibition in a limited edition of 300 copies. 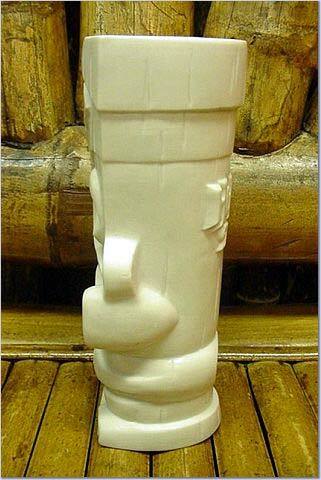 Two resin swizzle stick spears were supplied with the mug which it is designed to hold. Each set comes with a signed and numbered miniature print (4″ by 5.5″). 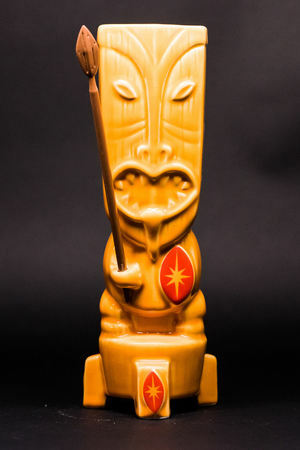 The Tiki Mug 3-Pack: Mutuaga Manihiki and Kahalu’u was launched at the It’s All About The Tiki exhibition with the mugs measuring 7.75″ high and 2″ across with a capacity of approximately 13oz. 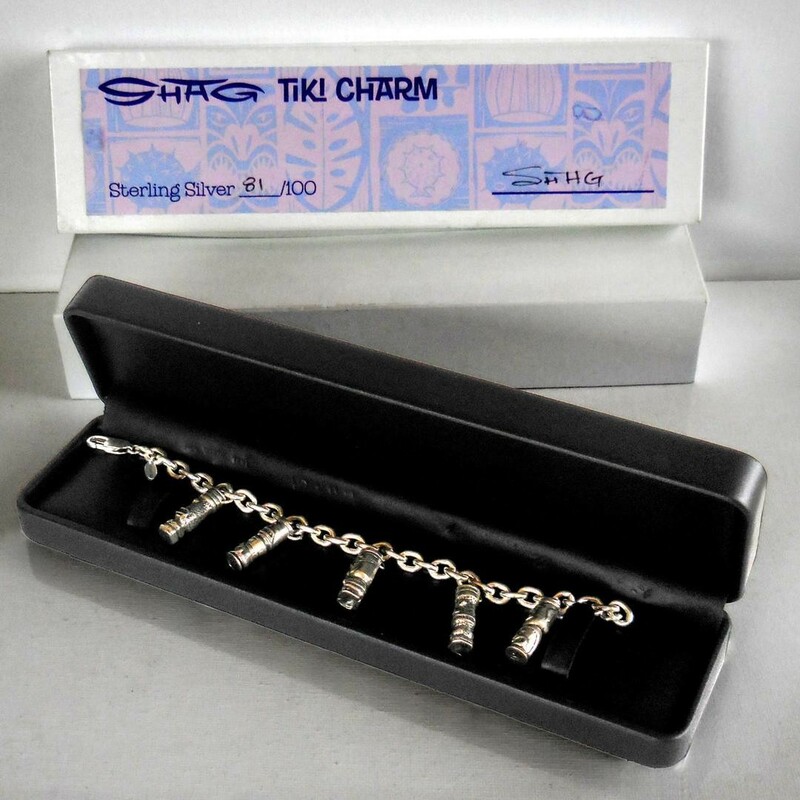 This limited edition of 300 sets was manufactured by the Tiki Farm with each set coming with a signed and numbered miniature print. The original painting The Zombie was available at the It’s All About The Tiki exhibition for $12,500 USD. This is an older painting but fit well with the theme of the exhibition. The Raising the Brow: East and West exhibition was held at the Earl McGrath Gallery in New York City from December 4th 2003 to February 7th 2004. 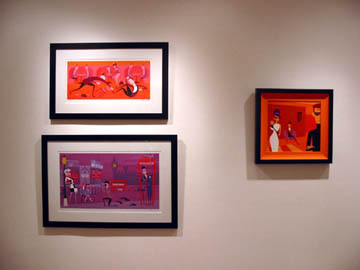 Six works from Josh Agle were shown at the exhibition (see below) including the four villain prints (Baron Von Oben, Kitty Q, Mombassa Jones, and Gustav), an original painting and the Masquerade Party print. The Raising the Brow: East and West exhibition was held at the Earl McGrath Gallery in Los Angeles from December 11th 2003 to February 21st 2004. Three works from Josh Agle were shown at the exhibition (see below), two prints (The Unchecked Anger of Alf Charles and Three Black Crows) plus an original work.